Prototype: Type CA-3/CA-4 caboose with a center cupola. 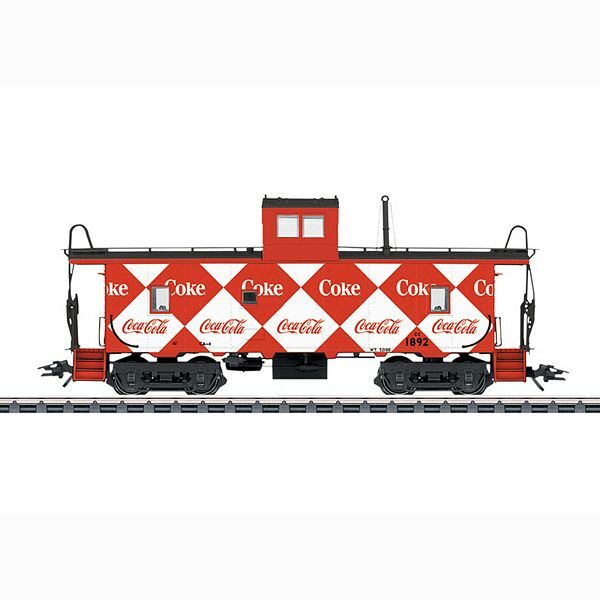 Unique paint and lettering scheme in a Coca-Cola design. Model: The caboose has a unique, individual paint and lettering scheme. The frame and floor are constructed of metal. The caboose has detailed trucks with special wheel sets. The end platforms at both ends have handbrakes. The roof walks, ladders, and other details are separately applied. The couplers can be replaced by other makes of couplers. Length over the couplers 14.2 cm / 5-5/8". DC wheel sets E320552 (NEM), E320389 (RP25).